“I REALLY DON’T CARE, DO U?” This was the statement written on the khaki-colored jacket worn on June 21, 2018 by U.S. First Lady Melania Trump during her visit to an immigrant children's camp in Mexico, Texas. The media voiced various perspectives on the intent of wearing such clothing, and the world started to talk about it seriously. Especially, The New York Times claimed the target of the statement was U.S. President Trump in attempt to refute his opposition to immigrants. However, The Washington Post called it "jacket-gate", criticizing her for wearing it. This paper claimed she was voicing agreement with President Trump’s stance. 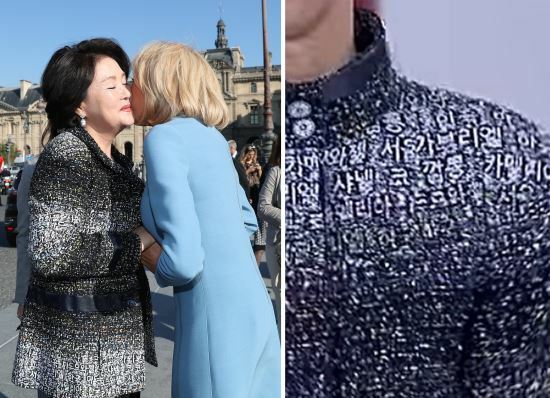 Although she claimed the statement printed on the jacket was meaningless, it was caught by media across the world, including Korea. Why is her jacket receiving worldwide attention? Fashion refers to a particular hairstyle or clothing that remains popular for a certain period of time. Early clothing was made with the single purpose of protecting the body from heat, cold, or harmful surroundings. Later, as society developed and classes evolved, the ruling class began to adorn themselves to show off their power. In modern times, fashion has become a means of self-expression by an individual. Like this, fashion has changed over the generations with the development of classes in society and the evolution of culture. Individuals are now using fashion as a means to pursue individuality and uniqueness. Max von Boehn, a German cultural critic, said in his book Die Mode (2000) that fashion encompasses society, politics, economy, and culture, and that fashion has significantly influenced not only art but also the relationships among the various fields. 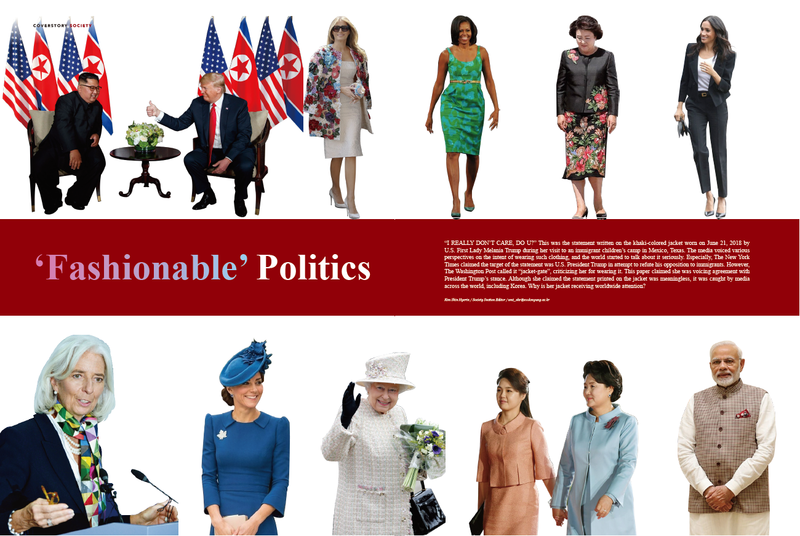 Therefore, this article will focus on the relationship between fashion and politics. The combination of fashion and politics may sound strange and awkward, but politicians' fashion is one of public interest, and now there is the term “Fashion Politics”. Margaret Thatcher, Britain's first female prime minister, also known as the “Iron Lady”, made her own fashion statement with her handbag and pearl earrings or pearl necklace. The angular handbag she carried reminded people of her charisma that she asserted aggressively. She would place her handbag on the top of her desk whenever she appeared in front of government ministers or members of the British parliament. These images lead to the term "handbagging”. Her pearl earrings and necklaces, which she wore proudly during her retirement ceremony and before she was appointed a prime minister, became symbols of conservatism and trust.1) In addition to Thatcher, IMF President Christine Lagarde’s scarves have become a political fashion symbol. She wears scarves of various colors and patterns, and media analysts use her scarves to predict whether the world economy has a positive outlook. When she announced the decision to include China’s currency in the IMF Special Drawing Rights, she wore a red patterned scarf and earrings to express congratulations and appreciation because Chinese like the red color. Apart from clothes, all accessories one wears such as ties, broaches, scarves, glasses, and bags represent a politician’s voice, and they sometimes are imprinting on the public image like Margaret Thatcher’s handbag or the passing of a public message like Christine Lagarde’s use of the red scarf. More and more politicians are using fashion in politics, and this has had a positive effect. First, fashion helps to convey implicit political expressions that are difficult to speak outright. During the 6.12 DPRK-US Summit, the two nations’ leaders used fashion to convey their messages. U.S. President Trump appeared in a navy suit with a red tie, symbol of his political views. The red tie has been nicknamed "Power Tie" because it contains the implicit messages that he has a strong power. In fact, many former U.S. presidents, including Barack Obama and John F. Kennedy, have also worn red ties to important events such as their inaugural speeches. On the other hand, North Korean leaders Kim Jong-un dressed in a Maoist-style suit, carried a file in one hand and wore glasses. The Maoist-style suit is a favorite among socialist leaders. Especially, North Korean leaders maintained the fashion style for three generations. Leader Kim clearly presented his idea of a socialist country by wearing a Maoist-style suit on the diplomatic stage. To verbally voice these opinions would be detrimental to a summit meeting, so instead, leaders choose to use fierce psychological warfare through their fashion statements to deliver the messages. Next, a politician's fashion can have a direct promotional effect. It promotes their country and serves as the symbolic image of their country. A nation’s leader is the country’s representative, and in exchanges with other countries, everything, including the leader’s words and actions, results in the image the country leaves with another country. Indian Prime Minister Narendra Modi is an example of a leader who knows how to use this promotional effect. He is often seen wearing body-fitting traditional clothes, which he calls "Modi Style" in his country. He sticks to traditional Indian costumes even when he meets important investors and at summit meetings. The BBC, a British media company, analyzed Modi's fashion and claims it is a means of informing India to the world. Like use by India’s leader, fashion portrays one’s personality and has the power to leave a strong impression on others without words. That is, it plays a big role in national publicity. Last, a politician’s fashion can be a diplomatic tool to show consideration and respect. In the case of Korean First Lady Kim Jungsook, she wore a black two-piece suit made in traditional Russian style unlike her typical outfits when she and Korean President Moon Jae-in visited Russia for the summit meeting with President Putin. At other international affairs, she often wears clothes that show the characteristics of Hanbok. 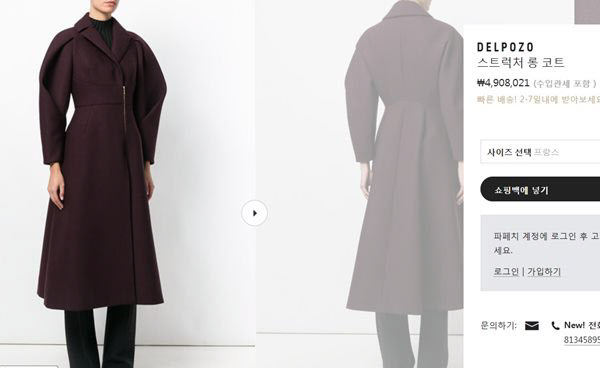 According to Cheong Wa Dae, she designed the outfit herself after considering Russian culture. She also personally selected the fabric after a visit to Vladivostok, Russia.2) While the first lady is not a politician, she does have influence as the first lady, which is something that cannot be ignored. Therefore, her action was seen as a fundamental step toward strengthening the foundation of national image and diplomacy during the diplomatic summit meeting. There are negative side effects of political fashion as well. The first thing is that a politician’s fashion statement is often based only on media and public speculation, so there is a risk of misinterpretation. Politicians rarely mention their outfits and focus only on the business. It’s the media that centers on their clothing and speculates what their fashion style is saying. In other words, the meaning and interpretation of a politician’s fashion is a sort of “plausible fit”. In the case of U.S. First Lady Melania Trump, she denied any hidden message with her jacket, but the media interpreted it differently. Some media sources pointed out that the phrase meant she didn’t care for the isolation issue of immigrant children. Therefore, people in political circles and their families need to exert caution regarding not only their behavior but also their regarding their choice of clothing because everything, including their fashion, can be the subject of controversy even though it may not have been intended. A politician can also create an alienated atmosphere by wearing expensive clothes that make people feel a sense of distance or disharmony. This is easily seen by comparing the fashion of U.S. former First Lady Michelle Obama and current U.S. First Lady Melania Trump. Former First Lady Michelle Obama wore medium and low-priced brands that represented common people, which is a far cry from what former U.S. first ladies used to wear. She avoided luxury goods and even had her clothes designed by a new designer, an immigrant, in order to deliver a message of hope. For this reason, she had as much political presence as a first lady and is evaluated as she works in politics with clothes. In contrast, U.S. First Lady Melania Trump prefers to emphasize as a model and wear European luxury designer brands. In this respect, she is often embroiled in controversy, and even some famous designers in the U.S. have officially declared that they would not create any outfits for her.3) In some cases, politicians deliberately make use of medium and low-priced brand fashions to reduce disharmony because they know that overly expensive clothing could distance themselves from the people they represent. 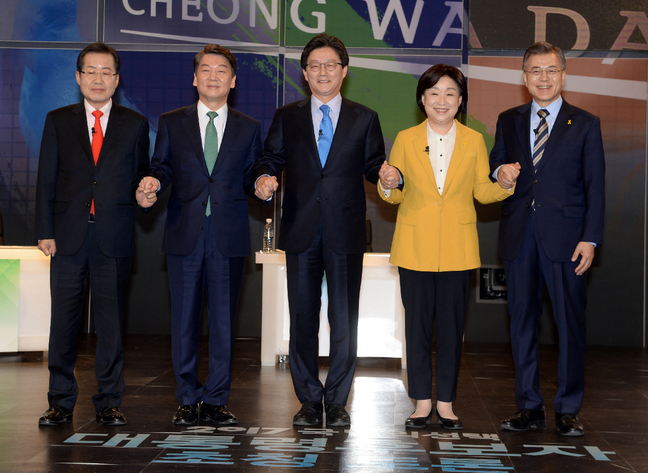 Last, in Korea, the fashion of politicians is often created using “color theory”. Politicians use color to send messages to the public. In particular, each political party has its own symbolic color, and candidates promote themselves by wearing their party colors during elections. 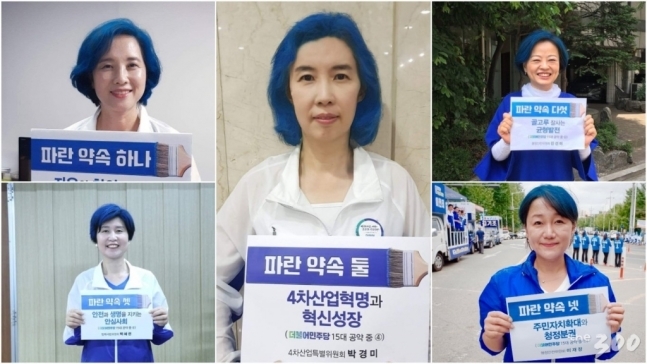 On June 13 Local Election last year, five female legislators from the Democratic Party promised dye their hair blue if their pre-voting rate exceeded 20 percent. When that did occur, the legislators colored their hair and posted images of themselves on SNS. In fact, color has a strong impact on people because it can simply and easily convey an image to voters. However, once an image is created, it cannot be easily changed because it remains in the minds of people. In addition, there is also the problem of negative imagery caused by colors such as expressions of criticism and ridicule. Margaret Thatcher, former British Prime Minister said, “Dressing suitable at a time and place is a very important task given to me by the state.” The unusual combination of politics and fashion has created a new political platform. Fashion is an object of caution and vigilance for politicians, who receive public attention and are under constant surveillance. However, fashion also can change the image of a politician from a stern person into a gentle person, and it can also pass on the strength and convictions of a leader who insists on wearing traditional suits. The value of a politicians’ fashion depends on how they use it, so having the wisdom to use fashion is important.